I recently took some time to chat to casting director, Jane Anderson, to find out what advice she has for actors – unrepresented ones in particular – and get her thoughts on why letting people know they haven’t got the job is important. Hi Jane, Thanks for taking the time to chat with me. Firstly, as you know, the users of The Artist Hub are looking for new representation. What advice would you give to actors in terms of getting in touch with casting directors, getting auditions and hopefully, booking some work? It’s always best to research how Casting Directors want to be contacted. A number of us have information on our websites, or have been interviewed for podcasts & videos on Spotlight and across other forums. Information is out there. You wouldn’t apply for a prospective job without finding a bit more about the company you want to work for, so the same should be said for actors wanting to contact CDs. We work on the basis of storing a huge database of actors in our heads, on lists on our computer etc. Part of our job is to remember names and faces, so even if we don’t have something for you when you email, we will log / file you somewhere and there could potentially be something for you in the future. It’s also worth taking into consideration that contacting too often (weekly/monthly) is not seen as being proactive, and if anything, becomes a negative. It is helpful to have at least one clip of screen work on your CV. If you don’t have any screen credits, there are a number of organisations that provide reasonably priced, professional showreel scenes. These can really help us when looking though huge numbers of suggestions of actors we may not know. For me, filmed monologues or self tapes for projects I haven’t worked on aren’t helpful. What’s different from your perspective, with regard to working with agents versus working with actors who represent themselves? Do you see a lot of unrepresented actors? I do, and have cast them. I’ve seen them at Monologue Slam, or drama schools, workshops etc, or they’ve auditioned for me as they’ve self-submitted on Spotlight when I’ve sent a breakdown out. The difference between working with agents and actors is that I have a relationship with agents built up over years of working in casting. So I will trust them when they can call and push clients for jobs, or I know generally they will be selective about whom they submit for roles. My advice is, if you are unrepresented, only submit yourself for roles that you are completely right for. Which sounds like common sense, but you’d be surprised how many people don’t. I’ve found when I’ve sent out a breakdown which is listed on the Link board on Spotlight, over half of the actors who submit themselves are completely wrong for the role. In that there is a specific skill they have to have, or a language they need to be fluent in, or need to be from a specific ethnic heritage, age bracket etc. I’m assuming they think if they submit themselves, then they’ll be on the Casting Director’s radar. But actually when you are looking for something specific – which is clearly detailed in the character breakdown – it’s really not helpful, as you spend your time trawling through lots of actors who shouldn’t be on the suggestion page. I have to ask about a recent tweet in which you said that you now have a policy of letting actors know whether they had got the job or not. How does that work for unrepresented performers? It doesn’t change for unrepresented actors, as I’ve always let them know if they were successful or not. My thought has always been that as they don’t have an agent following up for news or feedback after the audition, I need to let them know as soon as I can. And actually judging by the responses I ‘ve had from actors when I have done this, I realise it hasn’t been the norm. This is of course now changing across the board. What you would you say to convince other castings directors to do the same? It’s only fair. Most of us are freelancers (only a small number of Casting Directors work on multiple projects all the time), so we know how frustrating the process can be ourselves if we’ve met for a job, and aren’t told if we’re being considered, or if they’ve offered the job to someone else. As a Casting Director or team, once you’ve worked out a Yes/No system that works for you, it’s fairly straightforward. I myself, now do a big bcc email send out to all the agents of actors who have auditioned, updating them when the role their client met for has been cast. Depending on when the decision is made, this can take longer than we’d hope, but an update will be given as soon as we know. And I always do my best at keeping agents up to date with the state of play and when an answer is anticipated. One thing actors often hear is that casting directors want you to come in and be amazing. I guess that’s a given. What’s the one thing you’d love to be able to tell actors before they enter the room, to help them get there? job well. But also everyone in the room is looking for the best actor for the role, so we’re all willing you to do well. The casting is the gateway to the industry. We’re seeing a long overdue shift towards more diverse casting, but at the same time, a reduction in the number of actors coming through from poorer backgrounds. Do you think we’re doing enough to help and encourage people from under-represented groups to enter the industry in the first place? I think this is a universal problem amongst all aspects of Higher Education within the UK. People from poorer backgrounds are being priced out with huge loans, high fees to pay etc. Also a huge number of drama schools are in London, and as a city, its getting ridiculously expensive to live in. Let alone the fact that when you graduate there’s not a guarantee you’re going to get a steady income. There is also the fact that in senior schools, so many of the arts are being underfunded and cut back on within the National Curriculum, which means at a basic level, teenagers are having those opportunities taken away from them. They’re not seeing that this is something they can do. There definitely needs to be more initiatives at grassroots level to engage kids and to give them the knowledge that the Performing Arts is a viable choice for anyone. It also doesn’t help that the media tend to focus on the successful actors who are privately educated etc. The many stars that weren’t, don’t often get the same coverage. Casting Directors can often seem to have all the power, from an actor’s perspective. But you have an agent too, right, and have to pitch for work? Who are the gatekeepers from your standpoint? When it comes to finding work, yes I absolutely have to pitch for jobs. My agent is generally there to negotiate my fee, while I market myself – though she has also got me in the room to have ‘generals’ with producers. So I send emails out to producers I haven’t worked with, keep the producers and directors I have worked with up to date with projects I’m doing, etc. Sometimes I’m lucky to be offered jobs (generally from producers or directors I’ve worked with before), but most of the time I’m pitching and meeting for jobs. I then have to do my tap dance in the room,convincing them that I’m the best CD for the project. With very few people in our industry being PAYE, pretty much all of the team that creates the final show (be it TV, film or theatre) is going through the same process. Actors just have to go through it far, far, more often than the rest of us. I’m not someone who is continually turning over jobs, so I have my busy periods and my quiet periods. Like everyone else I go through the ups and downs of inconsistent finance, as well as the pros and cons of life as a freelancer. Have you ever had the feeling of ‘discovering someone’, perhaps someone who was unrepresented or just starting out? Tell me how that came about. Because I work a lot in kids TV, this happens fairly frequently, so I’ve given many people their first TV job. Casting is a nurturing profession, so you always feel like a proud Mother Hen when actors do a good well, and go on to rewarding careers. It’s one of the best bits of the job. Jane Anderson casts for both emerging & established directors. Before forging out on her own in 2010 she had spent six years working with, and being guided by, some of the most respected casting directors in the Industry including, as an assistant, Di Carling, Rachel Freck, Gary Davy and as a Casting Associate with Kate Rhodes James. 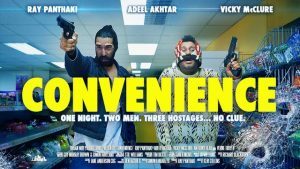 Features credits include: ‘The Whistleblower’, ‘Hard Boiled Sweets’, ‘Of Gods and Warriors (Viking Destiny)’ & comedy features ‘Down Dog’ and the Cymru BAFTA winning ‘Convenience’. Television credits include: ‘Spying on Hitler’s Army: The Secret Recordings’, the award nominated series’ ‘All At Sea’ & ‘Hank Zipzer’, the comedy ‘Bucket’ and the first series of the hugely popular ‘Creeped Out’ for CBBC. She is a Londoner living in Manchester, and continues to work between the two cities.